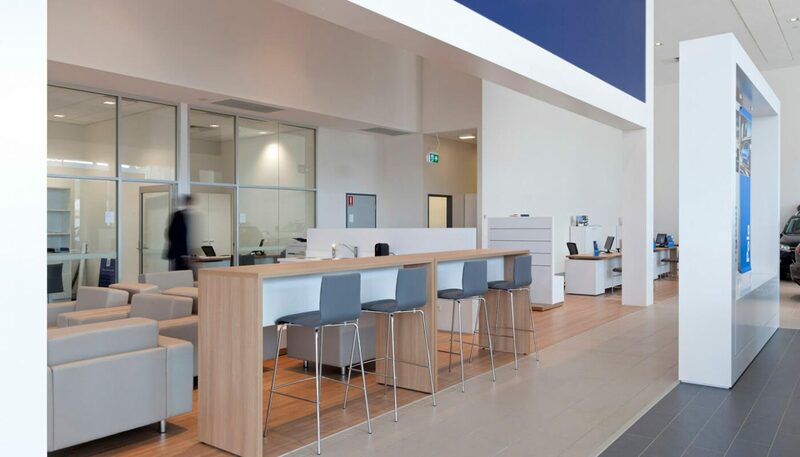 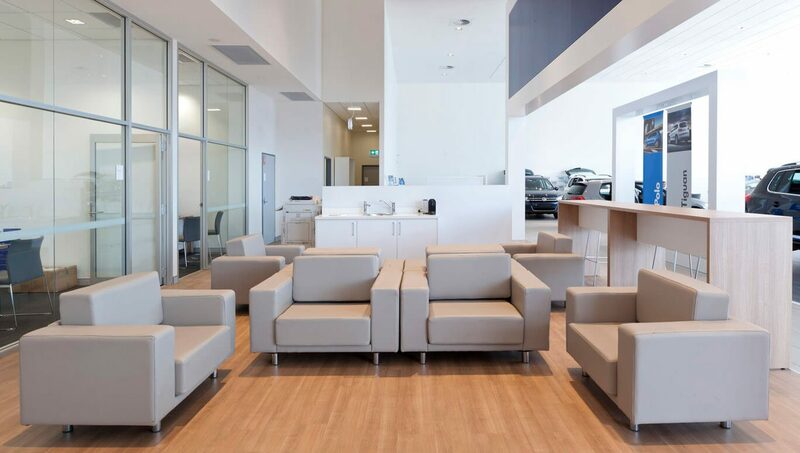 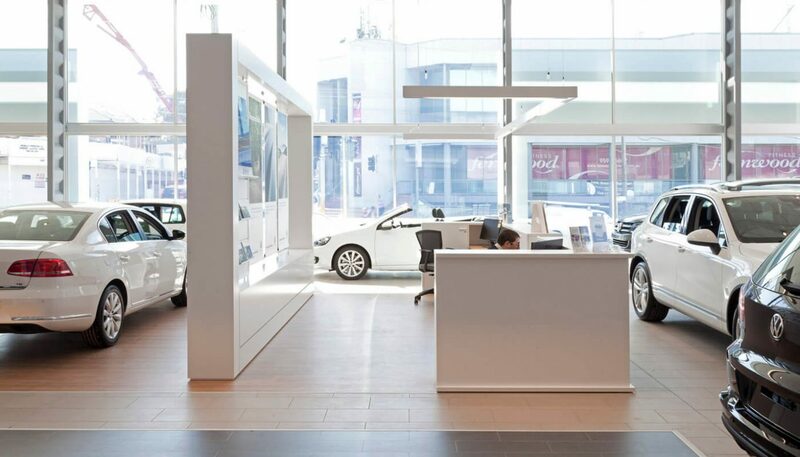 The growth of the Volkswagen brand in Australia has led to refurbishments of their showrooms across Sydney, including Rockdale; and the nation. 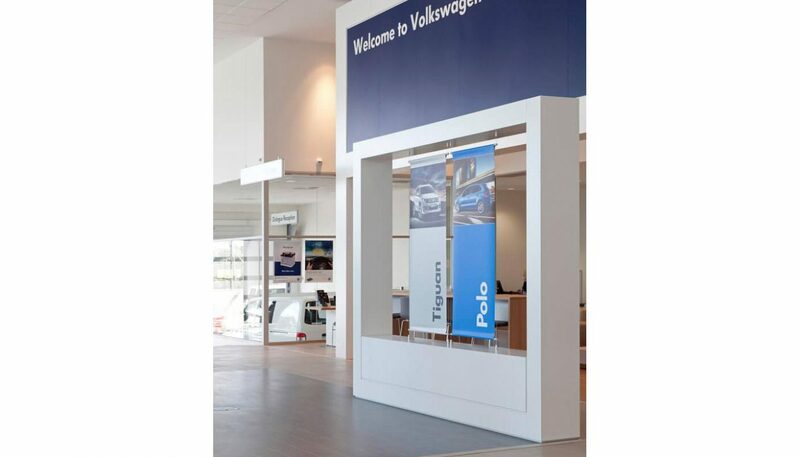 A range of custom designed furniture and display items, from reception to sales desks, customer waiting to product displays, has transformed the showroom into a customer friendly space. 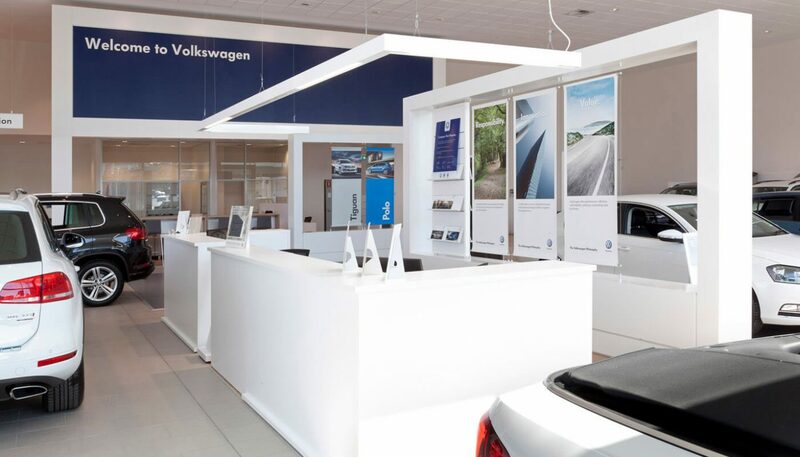 The neutral palette of the blue and white, teamed with timber expresses the simplicity and sophistication of the Volkswagen brand.